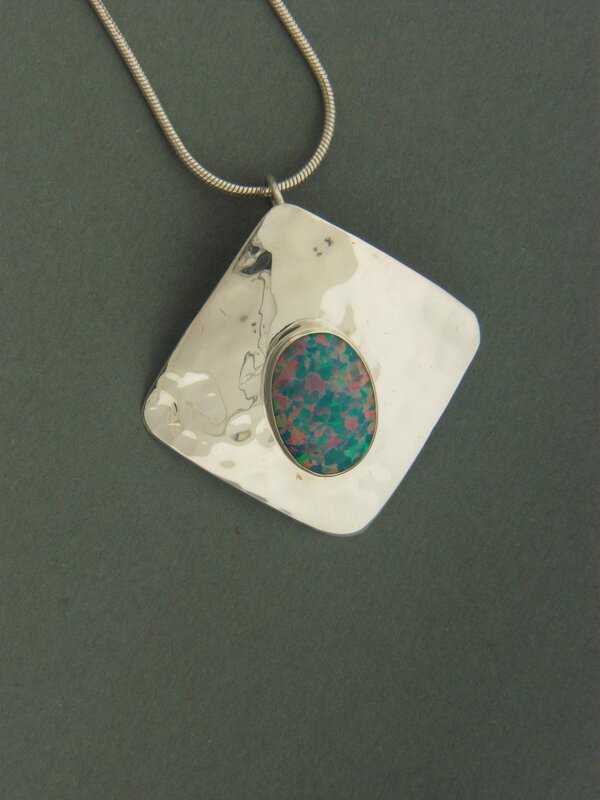 Handcrafted sterling silver .925, Square plate hammered with a 14 x 10 semi precious stone. Jump ring for chain is soldered at corner to have pendant in diamond shape. Stone is in a bezel setting. Choose your chain length and stone. Shown with a opal stone.